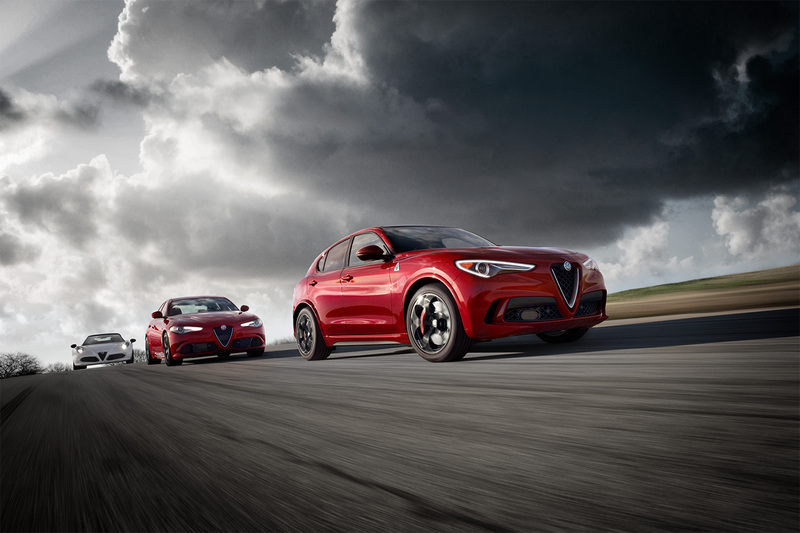 Alfa Romeo of Wilmington Pike near Wilmington, Delaware is your go-to source for all things Alfa Romeo. Whether you've considered leasing in the past or not, we couldn't recommend a better way to get yourself behind the wheel of these finely-tuned Italian vehicles. From avoiding a hefty downpayment and having more flexible financing options to saving on both maintenance costs and monthly payments, leasing an Alfa Romeo vehicle from our dealership near Wilmington, DE is the way to go. Contact our sales team today to get the conversation started! Sports cars and SUVs are the names of the game at Alfa Romeo of Wilmington Pike near Wilmington, DE. Fueled by passion and daring invention, the Alfa Romeo lineup is worth a look. Take the Alfa Romeo Giulia for example, a four-door powerhouse that takes the typical sedan and adds Italian-inspired style and sophistication. The Alfa Romeo Stelvio does the same for the sport utility vehicle, utilizing interior space to create genuine comfort. If it's speed and style you crave, the Alfa Romeo 4C Spider features a convertible option ideal for soaking in warmer weather. Explore the lot at Alfa Romeo of Wilmington Pike and schedule a test drive today. From auto loans to trade-ins, Alfa Romeo of Wilmington Pike near Wilmington, DE has the tools you need to find the best possible Alfa Romeo lease for your budget. We understand that getting into a new vehicle is a challenge, but our finance team is ready to make it happen in the most stress-free way possible. Give our team a call today to see how you can save with an Alfa Romeo lease!